Is fear a lack of trust? This five-minute-Friday link up has been all day in the works. I invented lots of excuses to not write today; it’s my birthday, I needed to run errands for my kids, this is a hard subject, I had a lot to do and I wasn’t feeling well. The truth however, is a little more tough, and the word trust is going to take a little more than the five-minute prompt instructs us to take. Sorry, Kate Mataung, I did not follow directions! Trust is a big deal to me. I’m an honest person, ask anyone who knows me. I don’t play games with the truth and if I say something, it is to the best of my knowledge, the truth. I am trustworthy in that if I promise something, I’ll do my very best to follow through. I live a life that allows for others to trust me (at least I try to). And, I trust those around me unless they prove themselves to be untrustworthy. I also have chosen to live my life trusting in my heavenly Father. I was blessed to be taught and shown that type of love and trust through my parents and siblings and have chosen to pass that on to my children. I firmly believe that God works so that ALL things work together for the good of those who love the Lord. Here’s the tough part that caused me to pause my writing and clean my house instead. Because here is more truth about me. When my son was diagnosed with cancer I was scared. I worried about his prognosis. I rode the doctors about medications and had to know every little detail of his treatment protocol. I fretted about time away from my girls. I feared the effects of the nasty drugs in my son’s life. I trembled at the thought of losing my precious boy. I cried when his beautiful red hair fell out. I was aghast at the length of treatment. I felt sick to my stomach every single morning that we got up early to go in for chemotherapy. I couldn’t sleep any longer at night. I was distressed when he lost so much weight and threw up all the time. I was dismayed at all the time he had to spend in isolation. I panicked about germs and checked constantly for temperature and things that would cause infection. I obsessed over his medications and his doctor appointments and pretty much freaked out if we missed or even were late to either one. I lived in a constant state of anxiety over the well-being of my entire family being rocked by a three and a half year treatment plan (once we got through the first year that said we might HAVE three and a half years). I got the jitters when any conversation would turn to cancer or chemotherapy (OK, full-disclosure…I still kind of do that). Does this sound like a lady who ACTUALLY trusts in God? I felt like I was failing miserably in the trust department because people told me to “let go and give it all to God.” How could I obsess over laundry and medicine and still claim to be trusting? How could I worry and still believe in God? How could I have so much anxiety if I truly, absolutely and completely trusted? Had I failed as a Christian when I was tested? And, what’s more, why am I writing this under the title of Unexpected Blessings when I’ve just torn myself inside out and shown what a lack of faith and trust I had in Jesus. Can you see why I wondered? Because at the same time all these thoughts were in my head, people told me my faith was inspiring. That our rock solid behavior was admirable and that we were “handling this whole cancer thing SO WELL.” Really. We were told that. So who had a skewed version of life? The observers, who thought I had faith and trusted in the Lord, or me, who worried about all the details? It’s been ten years, and I’m writing this today, because of the conclusion I’ve come to about my faith and my trust and my fears and my doubts. In spite of the list of anxieties listed above, through EVERY MOMENT of my son’s illness, and I mean EVERY-MOMENT, I trusted that God had a plan and that my boy and my family were in His hands. I knew God could say “Yes, your boy can live,” or God could say, “No, your boy needs to be laid to rest.” I trusted implicitly that God held us. And truly, I was okay with that. What I feared was myself. Could I handle losing my boy? Could I handle life if I had not done every single little thing that I could to help my family? Could I trust my own confidence? My greatest fear in life, before my son’s diagnosis, was that I could not handle anything happening to my children. That fear was so very great in my life that I almost chose to not even have children. I’m not good with medical emergencies. Well, actually, I am, but then I fall apart afterwards. So how could I ever handle something happening to my children? God has given me a HUGE sense of trust. Life hurts – often. Kids do their thing instead of mine – it’s a guarantee. My husband still isn’t perfect. I still screw up. But I KNOW. I know that there is nothing that God cannot get me through. I know that He will be with me when my brain is too fried to remember Bible verses of comfort and when the thought of reading a devotional makes me want to scream. I know that He will send friends to help and He will supply my needs. I know that He will take care of my children. The war is already won. Our future is with God for all of eternity. He holds us in the palms of His loving hands. And that, my friends, you can TRUST. 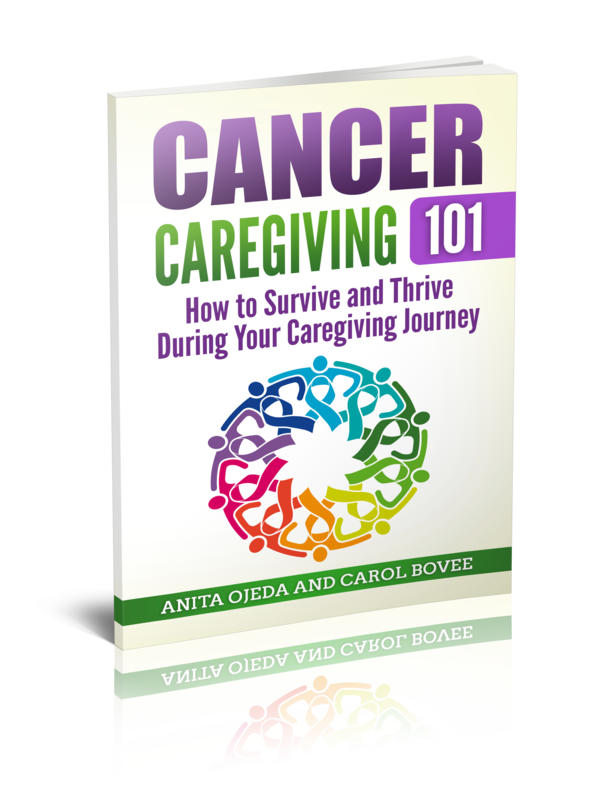 Categories: 31 days of Unexpected Blessings from Caregiving, Carol's Stories, Inspiration, Recovery!